I’m baking up a batch of grain-free cookies for tonight’s private Birthing From Within Class. It’s important to nurture and treat yourself while still putting your health first…especially when you’re a pregnant mama! Danielle from Against All Grain has rocked my family’s world on the baking front. 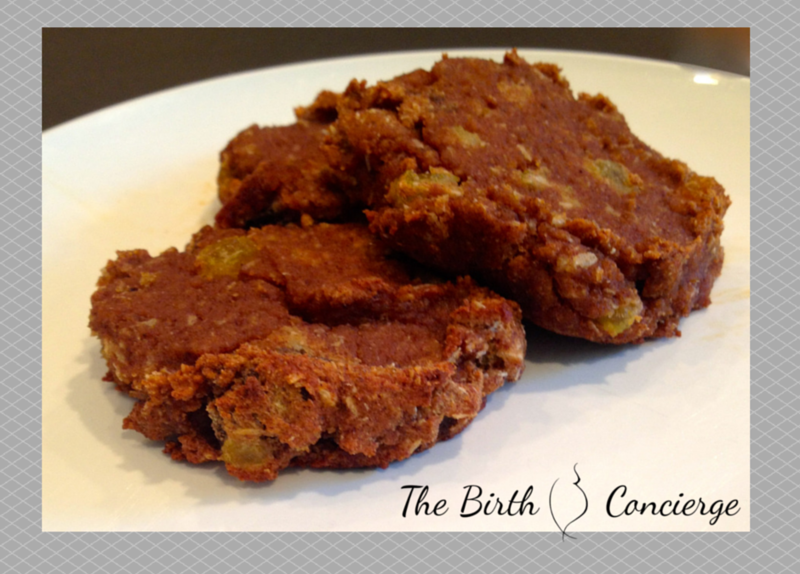 Tonight I’m serving her Allergy Friendly Breakfast Cookies (they’re not just for breakfast! ), but you should also bake up a batch of her Real-Deal Chocolate Chip Cookies. Trust me, no one will know they’re grain-free, so get in the kitchen and treat yourself!! In a food processor, puree the bananas, dates, applesauce, and shortening until it has the consistency of baby food, about 30 seconds. Add the coconut flour, cinnamon, vanilla, baking soda, lemon juice and pulse 5 or 6 times until combined. Add the dried fruit and shredded coconut and pulse twice. Don’t run it long enough to puree the dried fruit, just enough to incorporate it. Spoon golf-ball sized balls of dough onto a cookie sheet lined with parchment or a Silpat. Flatten the balls a bit with your palm. These cookies don’t spread, so make them the shape and size you want prior to baking. Let the cookies cool completely, then store in an airtight container in the fridge. *You can also press the dough into a greased pyrex dish and bake as bars for about 17 minutes. * For those weighing your coconut flour, use 47g. Community is a vital part of wellness for new and expecting families. Sign up for our newsletter to receive updates from us with upcoming events, tips, & giveaways.